If you’re frustrated with your current marketing strategy, it might be because you’ve invested in cheap SEO packages instead of a comprehensive inbound marketing strategy. While SEO packages have their place in the marketing world, it’s often a wasted effort if they’re not used in combination with an inbound marketing strategy. Based on the new way consumers buy, educating and informing customers has a much greater impact than SEO on its own. Depending on the needs of your business, your marketing goals, and your current marketing strategy, your inbound marketing strategy will differ from other businesses and will be created with your specific business in mind. Most inbound strategies, however, tend to follow a similar outline and provide similar benefits. Understanding the needs of your business and setting expectations should always be the first step when adopting an inbound marketing strategy. Because strategies will differ from company to company, it’s important to have a clear understanding of how you want the strategy to work for your business and what payoffs you expect. This not only helps you determine which aspects of inbound marketing will hold higher priority, but it also helps when creating a timeline, determining what type of content to create, as well as setting a marketing budget. 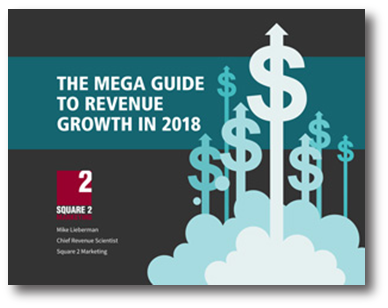 Without having a clear list of goals and expectations, it’s hard to create an inbound strategy that will have the payoffs you’re looking for. If there’s one person you need to understand when making the move to an inbound marketing strategy, it’s your customer. If you don’t know your target audience inside and out, it will be nearly impossible to reach them effectively. This is where research comes into play—from market research to secondary research, knowing what makes your audience tick is imperative. Without this knowledge, it will be difficult to determine what type of content will resonate the most, how to reach your target market, and what type of media will be the most influential. One of the most effective methods for understanding target audiences is creating buyer personas. These personas help you create a holistic view of who your ideal consumer is, what kind of lives they have, what challenges they face, and why your product will resonate with them. If you plan on creating an inbound strategy without first understanding your target audience, you’ll find the content won’t produce the results you expect. If your target audience is 25-year-old interior design professionals, creating content for Pinterest should be at the very top of your to-do-list. These individuals likely spend a decent amount of their time looking for inspiration on that site. If your audience is stay-at-home moms, on the other hand, it might be smart to consider Facebook or Instagram. Once you have an understanding of who your target audience is, you can begin deciding how you plan on reaching them. From social media sites to blog content, knowing where your content should be is the key to getting it in front of the right people at the right time. While cheap SEO packages will help get your content to the top of the Google search results page, that strategy will have very little pay off if your target audience isn’t on Google in the first place. Inbound marketing is all about finding your audience in a way that isn’t invasive. So if you’re reaching people because they searched for your content on Facebook, it will be much more effective than forcing an ad into their view. Now that you know who your target audience is and where to reach them, it’s time to start creating content. For some, this step can be that hardest; however, it’s also the most important. In terms of content, there are some red flags to watch out for and tips to ensure what you create fulfills its purpose. No one wants to read an article that’s filled with sales pitches every other sentence. Instead of focusing on the sale, focus instead on the target audience and what type of information will actually be beneficial for them. Yes, keywords are important. However, if your plan is creating a blog post or website that’s jam-packed with keywords, you’re making a mistake. Not only will this be hard to read and annoying for your audience, it will also get flagged by Google, pushing your content to the bottom of the search results rather than the top. Positioning yourself as the expert is imperative when it comes to creating great content. If you’re not credible, why should any consumer trust what you have to say? Make sure your content is helpful, accurate, and trustworthy. If it’s not, it should be a red flag that your tone and information need to change. All of the content you create has a purpose beyond selling. It’s designed to educate, inform, or teach your target audience. They’ve sought you out for information, to answer a question, or to learn something. If your content is really great, it should do all three. Written content is great; however, not everyone wants to read blog posts, articles, or website content. If you want your content to be shareable, easy to understand, and effective, consider using different media, such as infographics, videos, or photos. Before you write, post, or share anything, establish a brand voice. This voice will be the personality of your brand and should be consistent across all platforms. When editing, remember to ask yourself if the brand voice if present. If not, write again until it’s there. 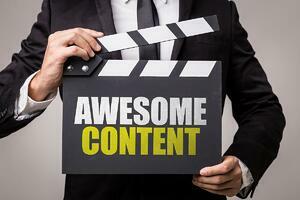 So, you’ve created amazing content that your target audience is going to love, but now what? If you want people to actually find your content, it’s important to use SEO and paid search as the cherry on top. While cheap SEO packages can handle the most basic level of SEO, each company and inbound strategy is different. This means using an SEO package alone usually isn’t enough. Paid search can be used in addition to keywords to give your content a little extra push. Pay per click (PPC) ads help your content be seen by people who are already actively searching out a product or service that’s similar to yours. So, if someone is looking for a local organic coffee shop, your website will be pushed to the top of social media or search engines when they type in the search. As your business moves away from cheap SEO packages and begins to adopt an inbound strategy, don’t let yourself become overwhelmed. Follow these tips and you’ll be attracting the right customers in no time!